Boatbuilding Heritage Society of B.C. 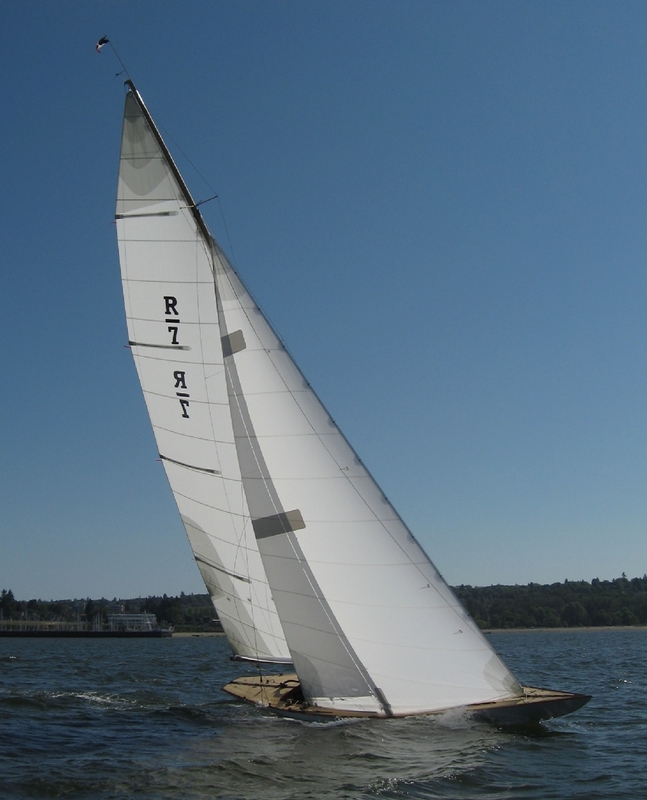 Welcome to the Home Page of the Boatbuilding Heritage Society of British Columbia and the historic R Class sloop Lady Van. This sleek vessel was designed in 1928 for a group of members of the Royal Vancouver Yacht Club and built by Vancouver Dry Dock in North Vancouver. She is forever associated with the historic win of the Lipton Cup in 1929 over Seattle’s previously unbeatable Sir Tom. Lady Van was found languishing in Seattle and was repatriated to Canada in 2009 to start the arduous process of restoration. Under the leadership of well known yacht designer and builder Don Martin, the Society worked hard to complete the work on Lady Van in 2010 in time to compete in a revival of competition for the Alexandra Cup. This splendid punch bowl was gifted in 1905 by the Rt. Hon. Lt. Governor James Dunsmuir to encourage international competition between the United States and Canada. In October 2010, Lady Van once again graced the race course as she beat the recently restored Aloha for the Jack Cribb Memorial Trophy and the right to represent Canada; and then went on to sweep the Alexandra Cup series against Pirate, the representative of the Seattle Yacht Club on behalf of the United States. The goal of the Society is to now use Lady Van to provide a glimpse into rich history of yacht racing in British Columbia and the Pacific Northwest and to connect people to the beauty and craftsmanship of classic wooden sailing vessels from an era where yacht racing was a pre-eminent spectator sport.